Sedgwick County Commission candidate Hugh Nicks criticizes his opponent for living up to the values Nicks himself proclaims. 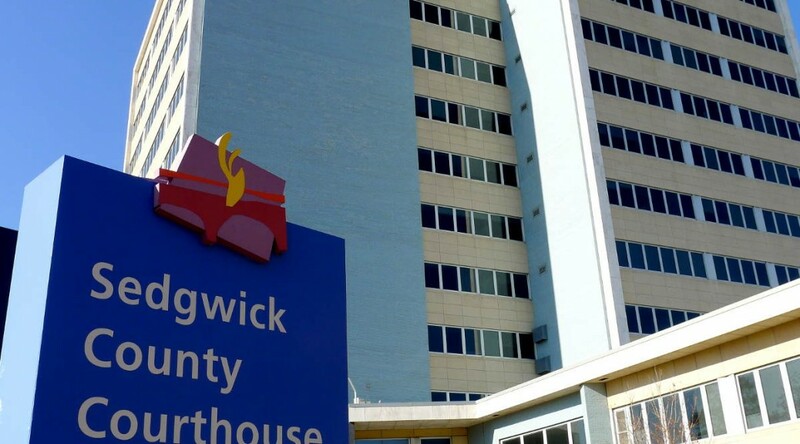 Examining the record, we find that yes, there is a grain of truth in Nicks’ allegation: Ranzau did question this item, but not because it was “handicapped-accessible.” Here’s what happened. At the next meeting, on October 5, 2011, the item was again on the agenda. 3 At this meeting Joe Thomas, at that time Acting Director of the Purchasing Department, explained that the dock itself did not cost $53,500. Instead, the dock cost only $26,162. Other necessary items in the project included site prep ($6,920), a concrete sidewalk ($3,066), a concrete pavement parking and picnic area which includes an ADA (Americans with Disabilities Act) compliant picnic table ($6,852), an asphalt drive ($7,400), site restoration ($1,500), and “general conditions” ($1,600). After more discussion, there was a vote, and all commissioners voted in favor of building the dock, including Ranzau and Peterjohn. Never be afraid of hard work. Listen openly. Debate respectfully. Ask tough questions. Be conservative with finances and generous with time. Decisions have consequences. Make them wisely. I’ve emphasized where Ranzau’s action on the fishing dock aligns with Nicks’ values. The questions Ranzau asked weren’t really “tough questions,” but they were needed and submitted respectfully. The answers helped the commissioners learn they were indeed being conservative with finances. It was a decision made wisely, with complete information. Following, relevant Sedgwick County Commission meeting minutes. Commissioner Peterjohn moved to defer Item 6 of the Board of Bids and Contracts Regular Meeting of September 22, 2011. Commissioner Ranzau seconded the motion. There followed more discussion, and then the vote on the deferral. All commissioners voted in favor, except for Commissioner Skelton, who was absent. L 11-1028 RECONSIDERATION OF ITEM 6 OF THE MINUTES OF THE SEPTEMBER 22, 2011 MEETING OF THE BOARD OF BIDS AND CONTRACTS: VIC’S LAKE FISHING DOCK- FACILITIES DEPARTMENT. Presented by Joe Thomas, Director, Purchasing Department. This item was deferred at the September 28, 2011 Commission Meeting. RECOMMENDED ACTION: Approve the recommendations of the Board of Bids and Contracts. Commissioner Norton moved to approve the recommendation from the Board of Bids and Contracts. Commissioner Skelton seconded the motion. Commissioner Ranzau said, “Thank you, Mr. Chairman. I want to make several comments here. I originally wanted to postpone this or had some issues with this for a couple of reasons. I asked the question, do we really need to do, have an ADA dock given our current situation, our financial situation, and why do we need to do this now and I also questioned the cost of it. I’ve gotten some feedback, some of it supportive of my position, some of it is not. Some people think my opposition is somehow because I oppose the ADA or people with disabilities, which could not be further from the truth. I think it’s important to remember that we have an ADA plan here at the county which I have supported voted for things previously and I will continue to do so. So my questions were not based on whether or not because it was an ADA dock. If you take the word ADA off of it and you come to me and say you’re going to build a $53,000 dock, I’m going to ask, do we really need to do that? Because that’s a lot of money for a dock, and so we asked for further information about how that money was going to be spent, and it clarifies a lot of information. I think it’s reasonable and justified to question how we spend taxpayer dollars regardless of what it’s going to be spent on. “I think the fact that it has an ADA stamp on it doesn’t mean in my mind that it should get a pass. I have questioned things that the Sheriff Department is going to do. I’ve questioned things that the Fire Department is going to do. I’ve questioned things that the road and bridge, Public Works are going to do. It’s not because I don’t support those things, but I want to make sure that each project and each cost is appropriate. I will continue to support the ADA program, but once again, if there is a program in the future that I think the costs seems a little out of whack, I’m not going to hesitate on behalf of the citizens to ask for more information and put the vote off if necessary. I also want to point out that at this particular meeting, we actually postponed two items. Mr. David Calvert, Chair, Wichita/Sedgwick County Access Advisory Board, greeted the Commissioners and said, “I would like to, Mr. Chairman, just briefly, and I’ll spare you the 30-minute…I’ve got a microphone on. I don’t know if it works. I can hear myself, but that’s about it. I am David Calvert. I’m an attorney, but I also chair and have chaired for the last six years the Wichita/Sedgwick County Access Advisory Board, started out as the Wichita Access Advisory Board to advise the city on disability issues. Sedgwick County joined this board by this board’s request in, I think 2007, and each of you Commissioners have appointees to that board and the Manager has appointees to that board as well. I will spare you the history of the Americans with Disabilities Act (ADA). I will say as part of the proactive stance this county has taken and this board has taken on compliance with the Americans with Disabilities Act, a self-evaluation and transition plan was created in 2006. Self-evaluation itself is online. It is 200 pages. I don’t necessarily urge you to read it. I will tell you that the transition plan is also online, and there is a link to those plans on the home page, again to the county’s credit. “The list of facilities covered by the transition plan is itself six pages long. The link to the Sedgwick County Park gets you to the Sedgwick County Park’s transition plan, which is 17 pages long. The total of all of these is like a couple of thousand pages. This particular fishing dock is referenced in the transition plan, pointing out that there are no accessible docks at all in Sedgwick County Park, and each one of the projects set forth in the transition plan is given a priority rating from very high to low priority. Low priority items can be done 5 or 10 years from now, high priority and very high priority items, many which should have been done by now. This is a very high priority item, and simply gives access to people with disabilities, which covers statistically probably 75,000 people in Sedgwick County alone, and if we all live long enough, it will cover each and every one of us at one time in our lives. “The reason everybody doesn’t end up with a disability is a lot of us simply die first, which I guess is the ultimate disability, isn’t it? But I would, this is part of this Commission’s continuing commitment to ADA compliance. People with disabilities don’t ask for special favors. Chairman Unruh said, “Thank you, Commissioner. I don’t believe I can add anything to all the conversation. There was a vote, and all commissioners voted in favor.